Sharing a mutual ambition of leading the way in whey in the United States, European dairy cooperative Arla Foods and U.S. based dairy cooperative Foremost Farms Usa are in advanced discussions about forming a strategic partnership.The vision of a potential partnership is to increase the value of whey through innovation, by combining Foremost Farms’ high-quality whey with Arla Foods’ extensive ingredient know-how and strong sales channels. 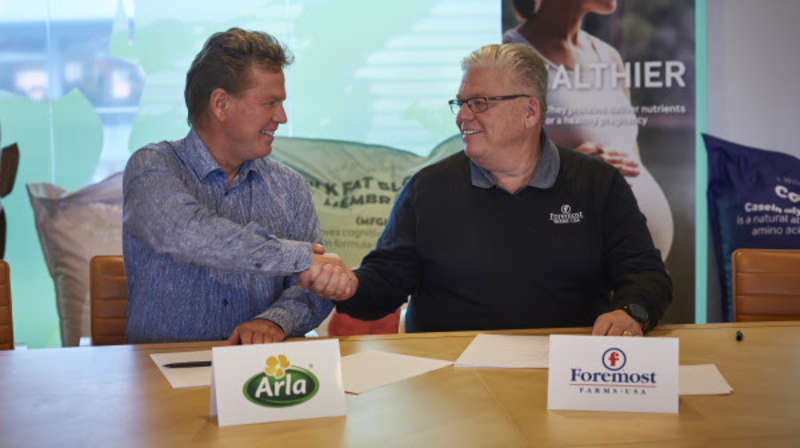 Recently, Arla Foods and Foremost Farms signed a Memorandum of Understanding, formalizing the possibility of a future partnership. Henrik Andersen, Group Vice President of Arla Foods Ingredients (AFI), says: “As farmer-owned cooperatives, Arla Foods and Foremost Farms USA share many of the same values and both parties see a high degree of compatibility on visions and ambitions within whey. We are confident that Foremost Farms can be the right partner for us in our efforts to secure access to high-quality whey in the U.S. market”. 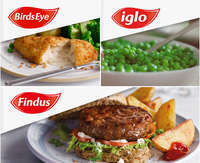 Michael Doyle, President and CEO of Foremost Farms, says: “We are excited about working with Arla Foods to create an international strategic partnership. By working with Arla, we can leverage their global food supply connections and innovation expertise with Foremost Farms’ diverse plant network and access to high-quality member milk. These factors combined, will enable both companies to meet business objectives and provide whey solutions of the highest quality to the world". Further details on the plans of this strategic partnership will not be disclosed at this time.